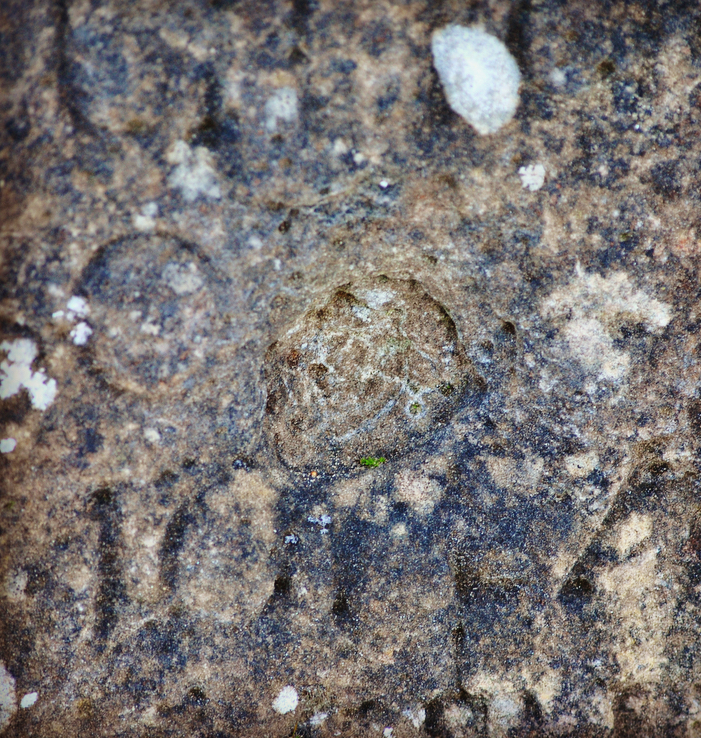 There are three holes in the gravestone of Donald Fraser of Erchite, remains of a funeral that ended in a shooting, the holes are the marks the bullets left. It must have been the second half of the year 1745. The tragic battle of Culloden had left its mark on Scotland and indeed the area around Inverness in many ways. Many Jacobites, exhausted , wounded and in danger of being detected, tried to hide in the area. 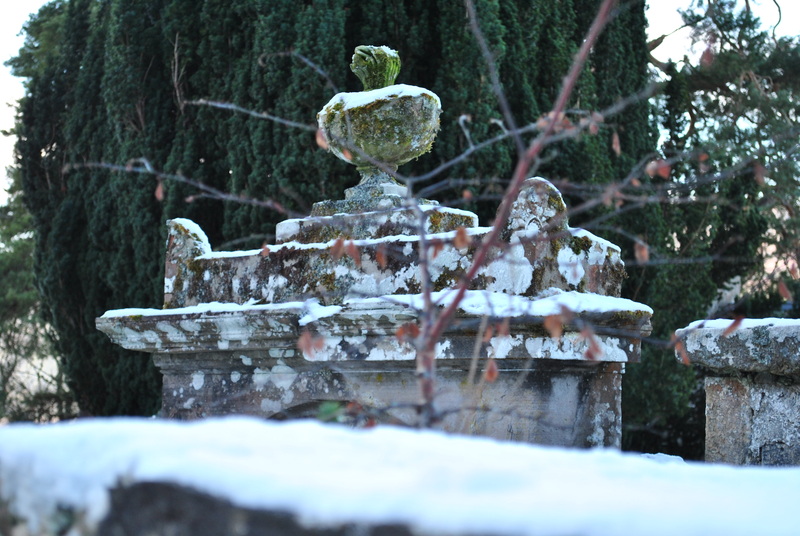 Some died on the road home and were buried in the local gardens, no gravestones to mark their passing. The ministers in the area were pro-government, the military was controlling the area, helping the Jacobites was a considerable risk. 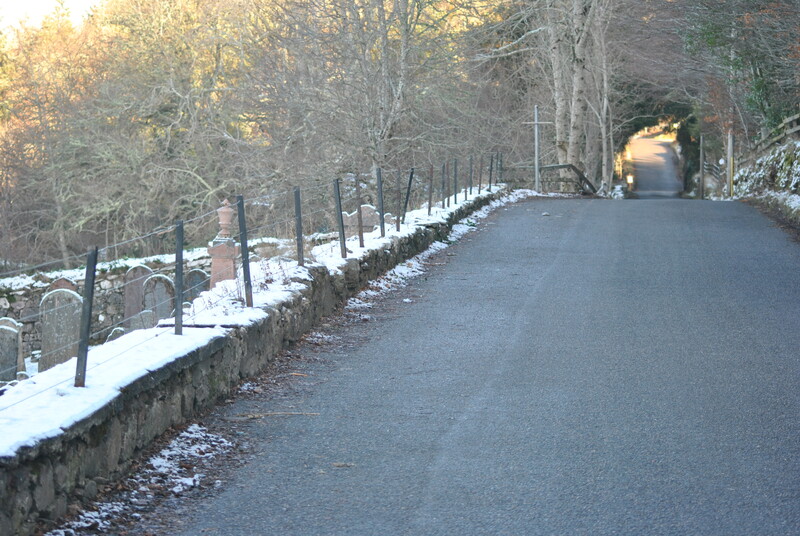 Boleskin graveyard is situated directly on the military route between Fort Augustus and Inverness, two strongholds of the Hanoverian forces. 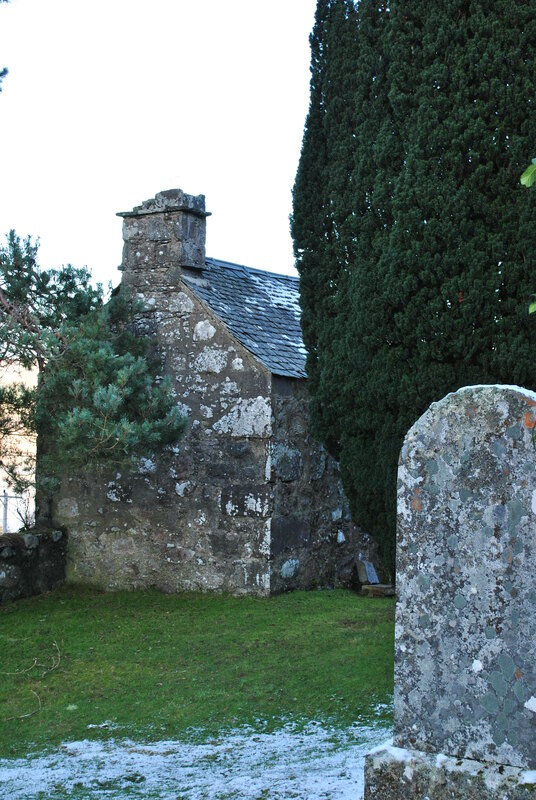 One day in 1745 a funeral was held close to the grave of Donald Fraser. Up on the road a military transport was passing. The story goes one of the men attending the funeral stole a loaf of bread from the cart and threw it to the dogs. An act of defiance and frustration that sparked a dangerous reaction: the soldiers fired into the funeral party. Apparently no one was injured but the culprit was taken to Fort Augustus and the minister of Boleskin Thomas Fraser had to plea for him to be released, a request that was granted by the Duke of Cumberland after some discussion, the minister being a strong supporter of the government. 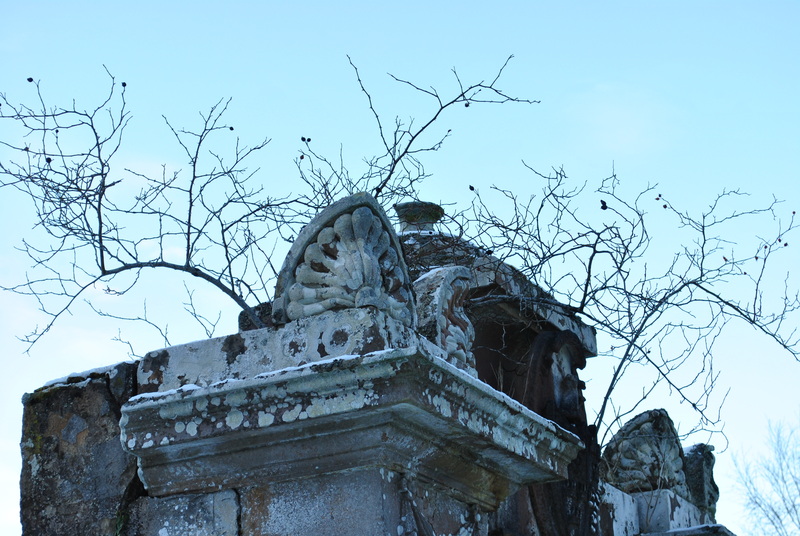 The bullet holes are not the only source of interest in this old graveyard on the eastern shores of Loch Ness. A few generations before Culloden a wizard is said to have raised the bodies of the dead in this graveyard. The minister Thomas Houston took on the battle with the wizard and was able to put the dead back to rest again. The wizard’s name was An Cruinair Friseal, the Fraser who made circles and he was from the area. The minister Thomas Houston is buried here. It is not known if the wizard is, too. Is this why many believe Boleskin to be a haunted place? More likely the story of the mansion above the graveyard that burned down in a fire in 2015 was the reason. Built on the spot where the ancient church had stood until that also burned down killing most of its congregation, it housed some dark people before it met its fate. Aleister Crowley bought Boleskine House in 1899 to seclude himself and perform magic from The Book of Sacred Magic of Abramelin the Mage, badly translated by his mentor, founder of the Hermetic Order of the Golden Dawn Samuel Liddell MacGregor Mathers. 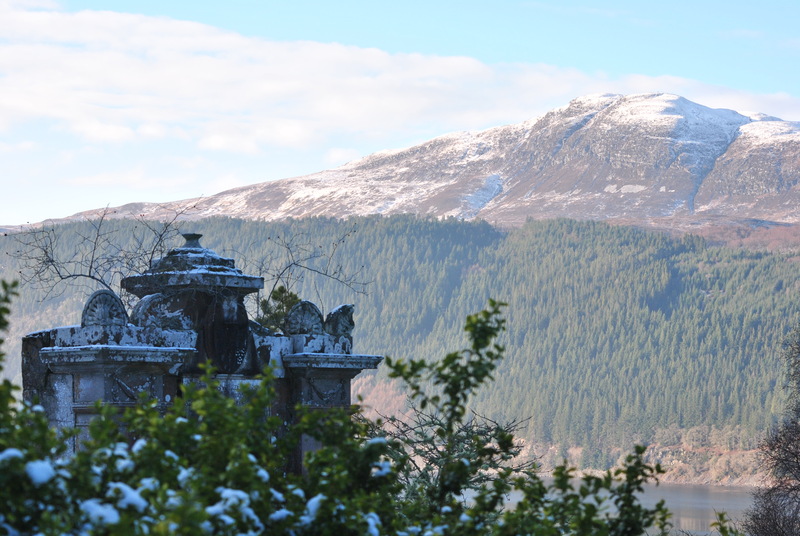 It was during his time at Boleskine that Crowley became famous for his spiritualism and black magic practices, both around Scotland and later the world. Sometime during this period Mathers called Crowley to the Hermetic Order of the Golden Dawn in Paris. He left without dispelling the “12 Kings and Dukes of Hell” he had summoned, and many locals blame the house’s unlucky history on evil spirits left behind. Crowley himself, never one to admit a mistake, even conceded that the rituals he had performed at Boleskine House had gotten out of hand. Allegedly a tunnel connected the house to the graveyard that has been the burial ground for all the Frasers of the area. Frasers of Stratherrick, Erchite, Faraline, Balnain, Leadclune, Knockie, Foyers, Errogie etc. they were all buried within the walls to the North of the graveyard. A large memorial stone remembers Simon Fraser (here named 12th Lord Lovat) the 11th Lord Lovat and the last Scotsman to lose his head. He died a traitor to a King he did not acknowledge on Tower-Hill in London in 1747. Fraser had asked to be buried in the family mausoleum in Kirkhill but was officially buried in London. The Frasers though have long believed that the body of the legendary Red Fox, the old clan chief of the Frasers, had secretly been taken back to Scotland and buried in Kirkhill. But an exhumation undertaken by scientists of the University of Dundee revealed in January 2018 that the beheaded skeleton was that of a woman and could not have been that of the old clan chief. Lord Lovat is known to the readers of Diana Gabbaldon and fans of “Outlander” as the kind and cunning grandfather of Jamie Fraser, who supported Bonnie Prince Charlie and was beheaded in 1747 in London. Lovat was 80 years old.